 Vcodex brings world-class expertise and understanding of video coding and media streaming as well as an in­-depth knowledge of industry trends and regulatory frameworks. This means that we can rapidly and accurately assess technical benefits and risks within a patent portfolio. We identify important patents quickly. Our client wanted to acquire a patent portfolio which covered video compression and streaming and asked us to assess the patents. We sifted though them and separated out those which had value from those which had no commercial value. The client went into purchase negotiations with a clear understanding of the value of the patents to their business.